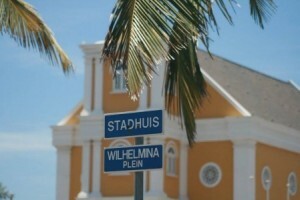 WILLEMSTAD - Over the past few years, the Public Prosecutor's Office (OM) Curaçao, in consultation and in cooperation with Customs Curaçao, conducted a number of large-scale actions against individuals and companies that were guilty of importing, storing or offering for sale to the public counterfeit goods. These actions led to the seizure of the counterfeit goods and subsequently being destroyed, now, in accordance with the local (criminal) legislation, the importation, stocking and the sale of counterfeit goods gives rise to a criminal offense. In the last few weeks during several inspections, authorities have caught several people entering the island through the airport with large quantities of counterfeit goods. In view of the fact that during this period many people go on vacation and buy goods that they want to import, the Public Prosecutor and Customs Curaçao want to inform the travelers that the import or the stock of counterfeit goods, is punishable. 5) Other goods: These include: bijouterie, perfumes, care products and electronics. Of each of these categories, a traveler may have up to two (2) counterfeit goods. It can be two goods of the same brand or two goods of different brands. All other counterfeit goods will be confiscated. The traveler may then waive the goods. At that point, the traveler will receive a warning and will continue his or her actions without consequences. Should the same traveler in future be guilty of introducing more counterfeit goods than is legally permitted, then a record will be drawn up against this person. As a consequence, criminal prosecution may follow. If on the other hand, a passenger decides not to leave the goods, then a report will be prepared. The traveler then runs the risk of prosecution, imposing an imprisonment sentence of up to one year or a fine of 10,000 guilders. If the offense has been committed in connection with the pursuit of doing business, the sentence is increased to imprisonment of up to four years or a fine of 25,000 guilders. The OM would also like to reiterate all travelers that when buying 200 guilders or more in goods abroad, these goods must be declared on arrival.